The PKI 2800 is a low frequency transmitter/ receiver set using AC power cables for transmission and power supply. 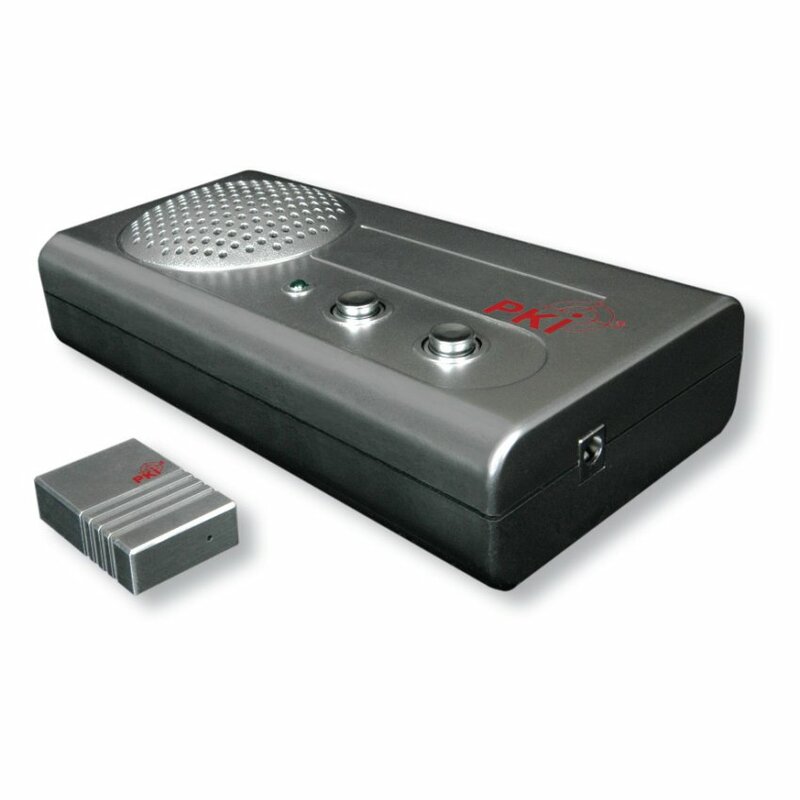 Although intended for audio surveillance of rooms, the system can be used as a general purpose security device to prevent from unauthorised entry of rooms in question. The built-in audio compressor reliably captures of all sounds inside a room. The transmitter is supplied for installation by the customer into suitable electrical fittings (adherence to instructions given in manual accompanying the equipment is mandatory). Transmitting time is unlimited since power is derived from power cables to which the unit is attached. Additional extras like recording devices of any kind are available upon request.